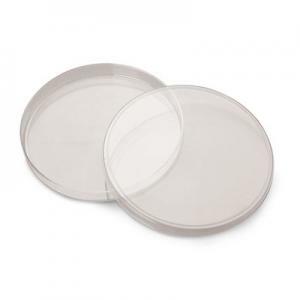 Labnet's solid assay plates are available in two formats - 96 x 350 µl/well and 384 x 120 µl/well. Both the 96 and 384 well plates are supplied white, for luminescence/fluorescence assays, black for fluorescence readings and clear for colorimetric assays. The 96 well format plates are also available with white wells in a black matrix to eliminate light crossing between the wells. 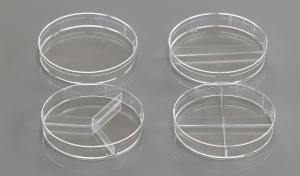 The black and white plates, as well as the clear 384 well plates, are available tissue culture treated or high binding. All of the plates are manufactured from high quality polystyrene. 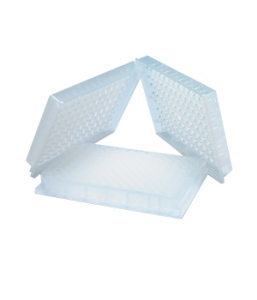 The clear plates are supplied in both polystyrene and polypropylene. Flat, round or V-bottom wells may be chosen for the 96 well version. 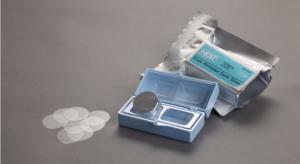 All of the solid assay plates are supplied in packages of 100. Barcoding is available upon request.